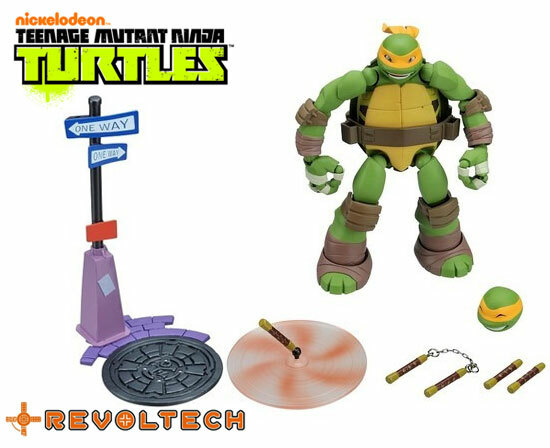 If you like the new Nickelodeon Teenage Mutant Ninja Turtles, Japan Kaiyodo under Revoltech series will be releasing a version for that. 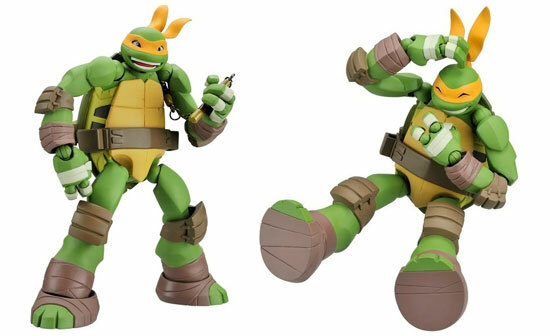 Starting in September 2014, Leonardo and Raphael will be releasing together. 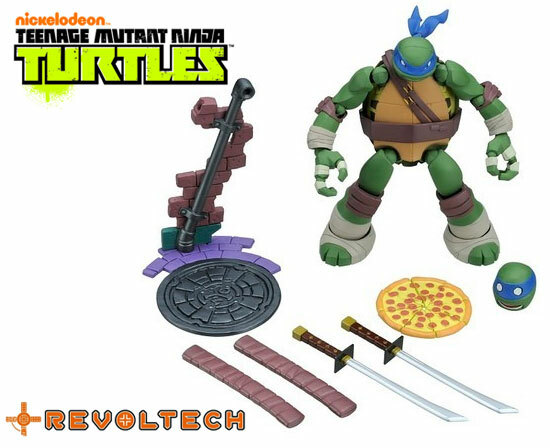 Leonardo will have his usual two swords, a surprising comic expression head and a Pizza and a stand. 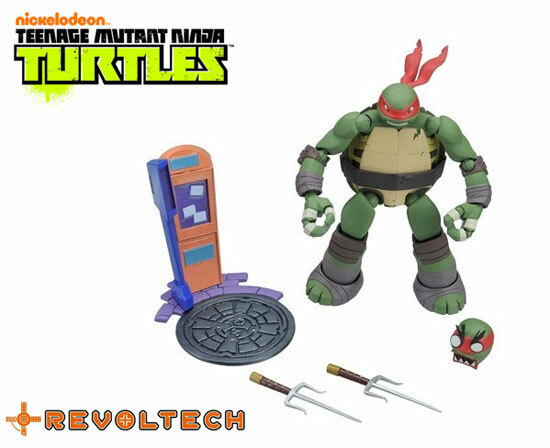 Raphael will be having it's own stand, Angry expression head and two Sai. With the Revoltech joints, you can expect good articulation and balance in some ways. 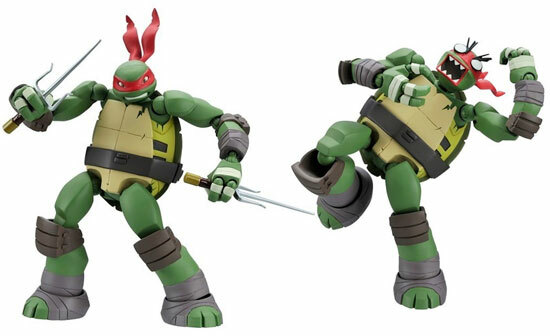 In October, will be releasing of Donatello and Michelangelo. 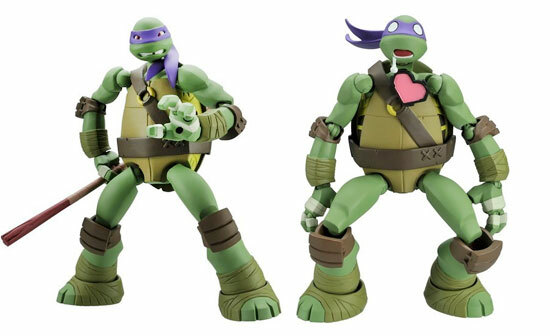 Donatello will come with twin Bo that one is with blade, a stand and a love struck expression. 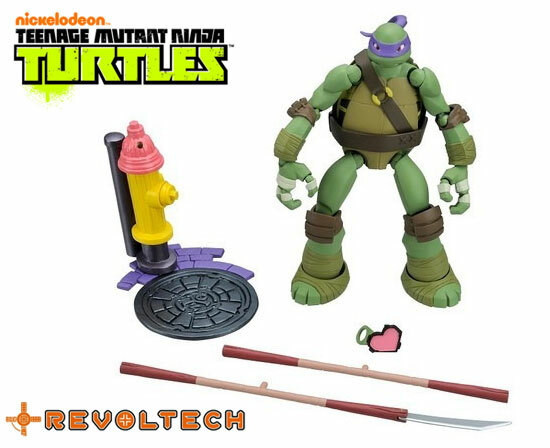 Michelangelo will come with a Nunchaku with action effect and one without. 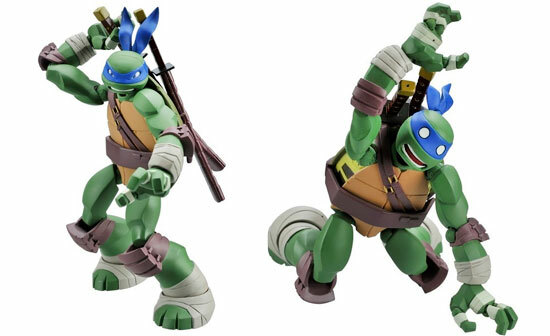 Mikey will comes with his signature happy laughing face for his carefree spirit. Each of these Turtles are set at retail of 4,800 Yen each.